Even Merkel has hinted that there could be a problem with heat this winter given the problem with Russia. As winter approaches, the former Soviet satellite nations are all watching Russia and Ukraine’s stalled gas negotiations with growing real fear. 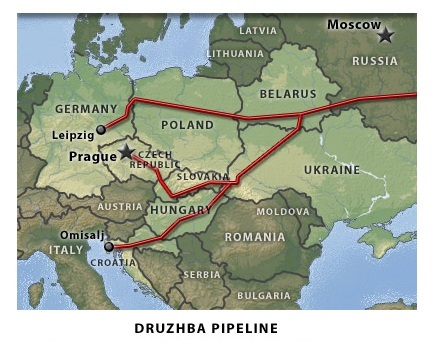 Much of the former Communist regions still have antique energy systems that are centralize. Houses in Ukraine rely on heat and hot water provided from a central plant rather than operate independently as in most of the West. Here, a utility delivers cold water and it is heated in the home. In Ukraine, they are cold and tremble if the government lacks the funds for energy. Eastern Europe is particularly vulnerable. The immediate crisis fueled by the US sanctions on Russia that are really brain-dead bring back memories of Russian energy cuts during unusually cold winters in 2006 and 2009. The ensuing shortages led to shuttered factories and a return to wood for heating and cooking in rural areas. This is where the Obama policies have caused their most damage. They were never thought out very well and Obama has deliberately embarked on destabilizing the political and economic system with ZERO long-term rational thinking.